Greengo is a unique herbal blend. Made for smokers who want to smoke , but don't want to get polluted with nicotine. Greengo is made of natural ingredients: Hazel leaf, Papaya, Mint and Eucalyptus. 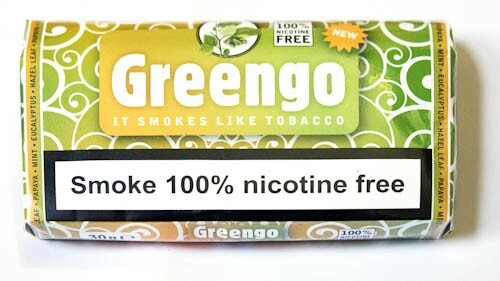 Greengo makes it possible to smoke without addition because it doesn't contain Tobacco or Nicotine.